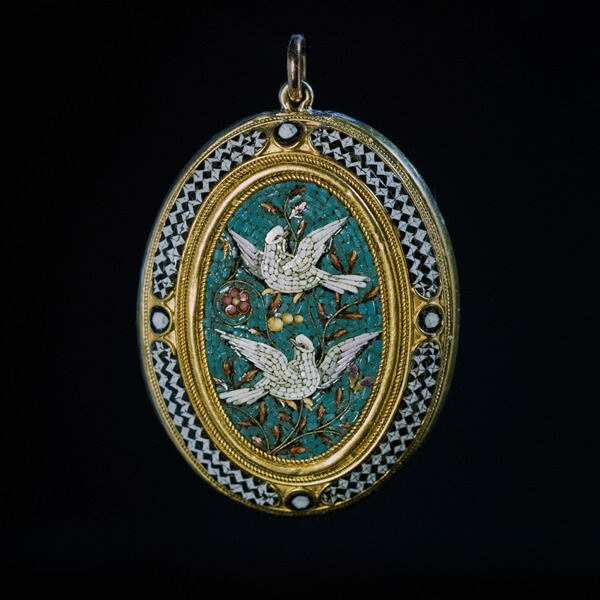 An antique Italian 18K gold and micromosaic locket pendant depicts two white doves among garden branches on a turquoise green background, framed by black & white geometric border. 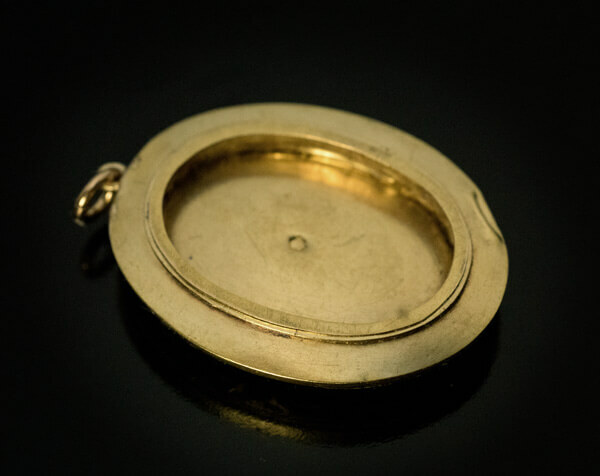 The back of the pendant is fitted with a miniature picture frame and marked with Italian female head assay mark for 750 gold / 18K in the center. 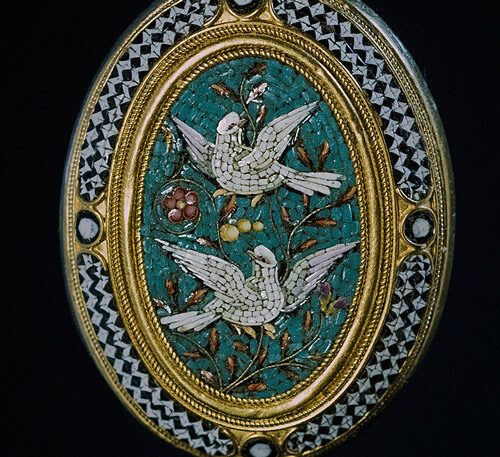 A very fine quality micro mosaic work.